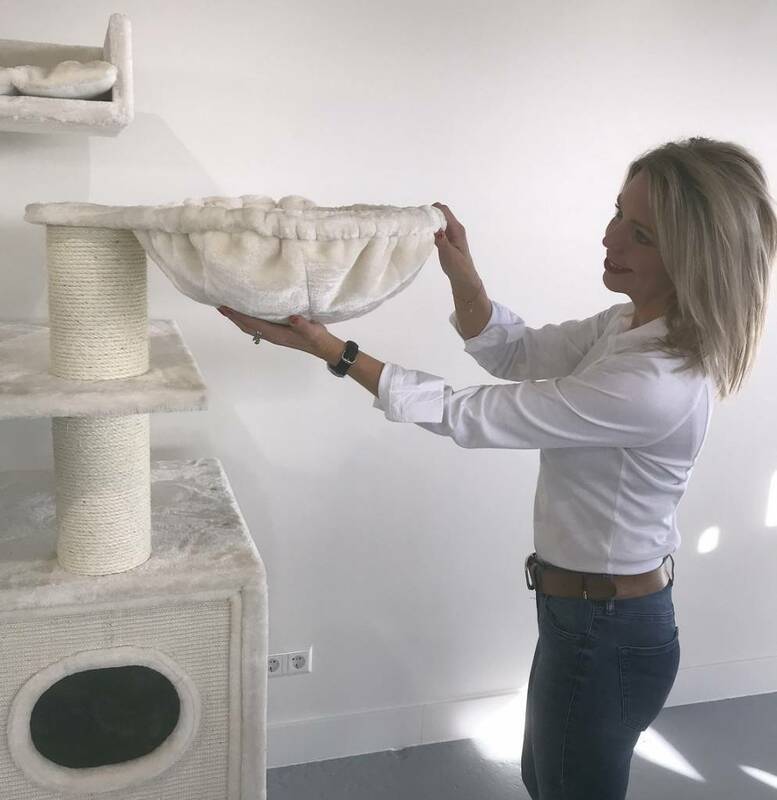 The scratching post for big cats Cat Paradise Cream of RHRQuality is a paradise for cats and is very big and sturdy with Ø15cm sisal poles and over 80KG total weight. 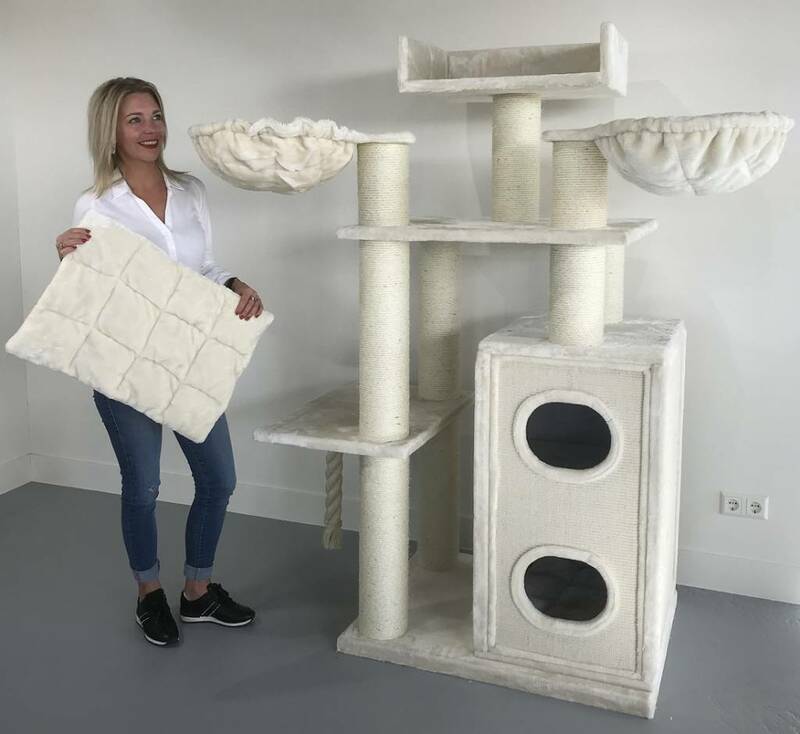 The scratching post Cat Paradise Cream of RHRQuality is a paradise for cats and is very big and sturdy, with Ø 15cm thick sisal poles and over 80 KG total weight. Very suitable for large or heavy cats. 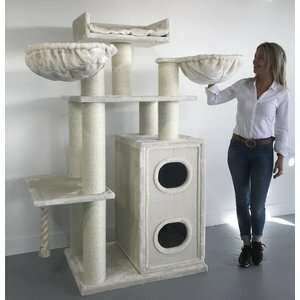 To place the scratching post you need at least 119 x 70 cm of space. With the hammocks (these are rotatable) completely turned outwards, it is 160 cm wide. 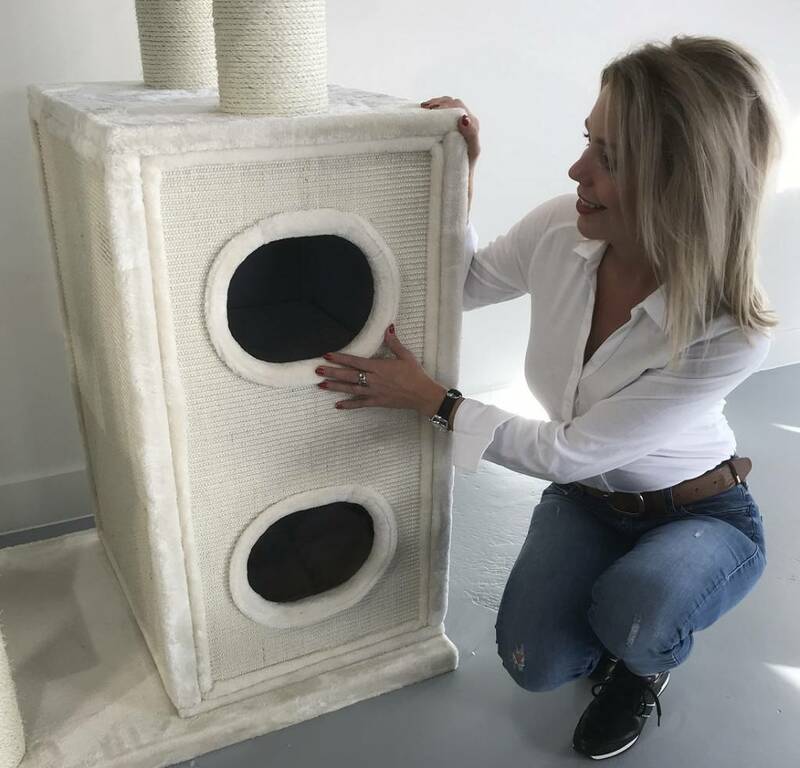 This scratching post offers plenty of scratch options to scratch at the sisal poles or the playhouse covered with sisalcarpet. The playhouse has the dimensions 50 x 60 x 91 cm and has 2 large (25 x 20 cm) entrances and exits at the front. The special hammocks at the top (combination between a hammock and a cushion) are 45 cm in diameter and tested to a weight of 20 kg. Made of extra thick super soft plush. At the top is a large seat of B60xD43xH15cm to be turned with a removable pillow that is attached to velcro and a very large berth 70x60cm. - The removable cushions are sewn and therefore stay nice longer. 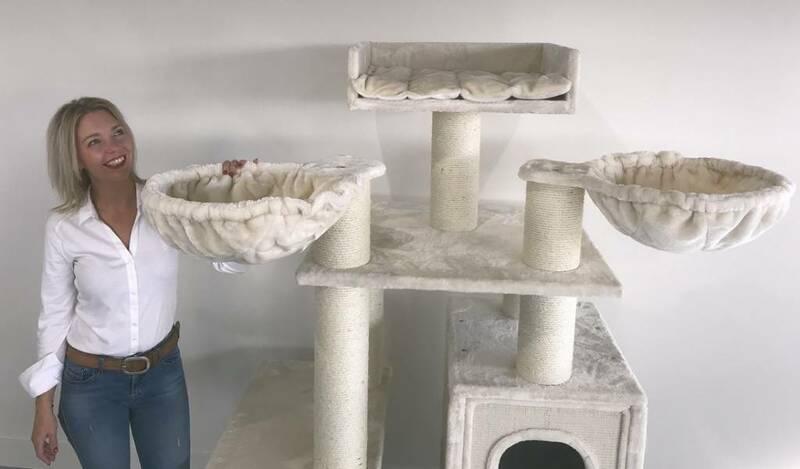 - This scratching post is more than 80KG total and mega sturdy. Falling or moving because your cats are playing is unimaginable. 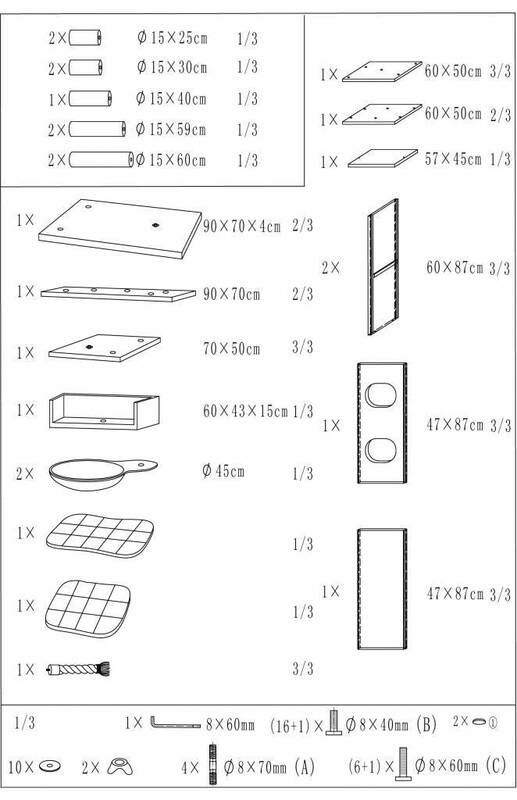 Required minimum: 119 x 70cm (with hammocks turned inwards). 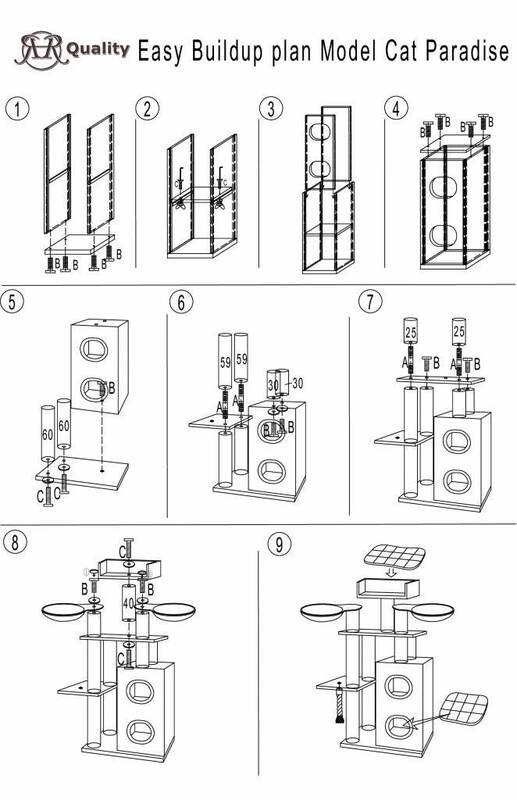 Playhouse: 50 x 60 x 91cm. Covered outside with sisal carpet. Holes front 25x20cm oval. Rope 5 cm thick and 43 cm long.